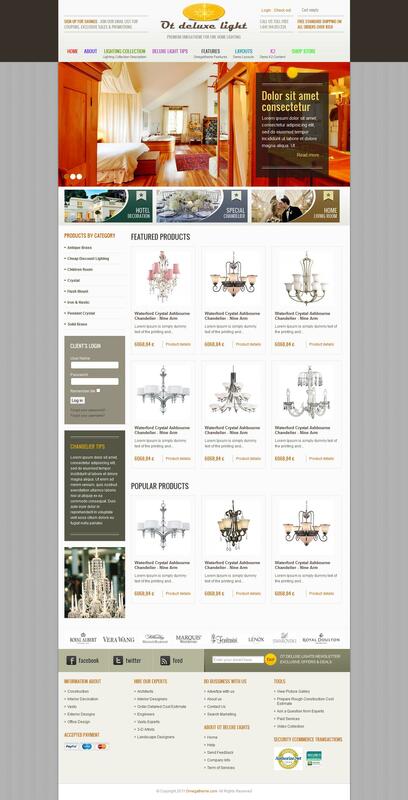 OT DeluxeLight - another quality template-based online store component VirtueMart 2.0 from professional studio OmegaTheme. Elegant and modern design layout is ideal for creating a functional store, thanks to a flexible platform studio Solid Framework. Built-in Hot Effects Rotator perfectly cope with showing important information to site users at the top of the site, and built-in support for K2 component adds the ability to easy content management site. Support for mobile devices and the availability of optimized code for search engines, are essential attributes of each pattern this studio.